A teacher for many years, William Fonseca taught in rural Belize, and at Holy Redeemer and St. Joseph primary schools in Belize City. “He had a special love for rural Belize and he started schools in the Toledo District,” Hon. Fonseca said. “Then after teaching for some years he went away to study Education, at the University of London. Then he went on to do his Master’s Degree at the University of Ottawa, in Canada,” said Hon. Fonseca. After Mr. William Fonseca returned from studying, he made a shift from teaching to the administrative side of education. He worked as an education officer for many years, eventually rising to become the Chief Education Officer in the mid 1970’s. “At that time, he started having very serious problems with his eyes, and he was, unfortunately, forced to retire in 1979,” Hon. Fonseca said. “He retired as the Chief Education Officer and at that point he had become virtually blind. At that point he started focusing on people with visual problems. He thought, ‘if I am facing these circumstances, what about people who have more difficult circumstances than me?’” explained Hon. Fonseca. Hon. Fonseca said that during the last chapter of his life, his father worked with many blind persons, including the well-known radio personality, Donovan Reneau, “and people from all over the country.” “He really helped to build BCVI into a national organization. He was also involved in pushing legislation to help people with disabilities, not only blind people, but people with all kinds of disabilities,” said. Hon. Fonseca. “My dad had a very productive life,” Hon. Fonseca said. “He was married to my mom, Molly Fonseca, who passed away four years ago. They were married for 55 years, at the time of her death,” he noted. Hon. Fonseca remarked, “He was actually born in Honduras. His father was a Honduran Counsel General to Belize. This was 1923, and there was a civil war in Honduras and his mother brought him to Belize along with his brother. 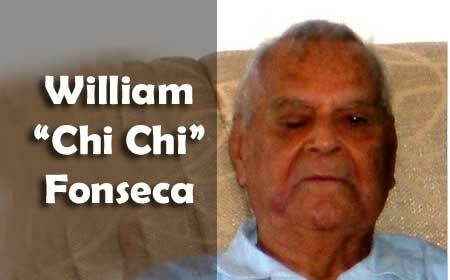 People will remember Raphael ‘Falo’ Fonseca, the Financial Secretary. “What’s your fondest memory of your dad?” Amandala asked Hon. Fonseca. “Oh, just a wonderful father who loved to read and encouraged me to read and was always discussing books with me. You know, just his passion for Belize and his passion for education. He instilled that in me and my sister. My dad also loved sports. Even though he couldn’t see, he and I would sit and listen to boxing and NBA basketball games and I would explain to him some of what was happening. You couldn’t ask for a better father, a wonderful dad,” Hon. Fonseca replied. 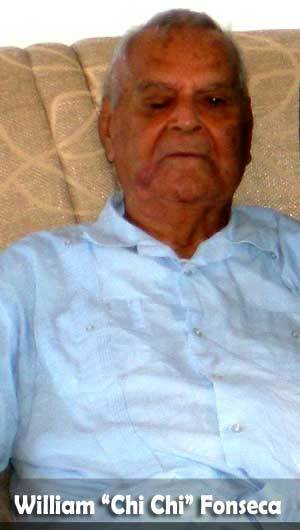 Funeral services for William “Chi Chi” Fonseca, (September 14, 1923 to August 2, 2017) will be held at Holy Redeemer Cathedral on Tuesday, August 8.